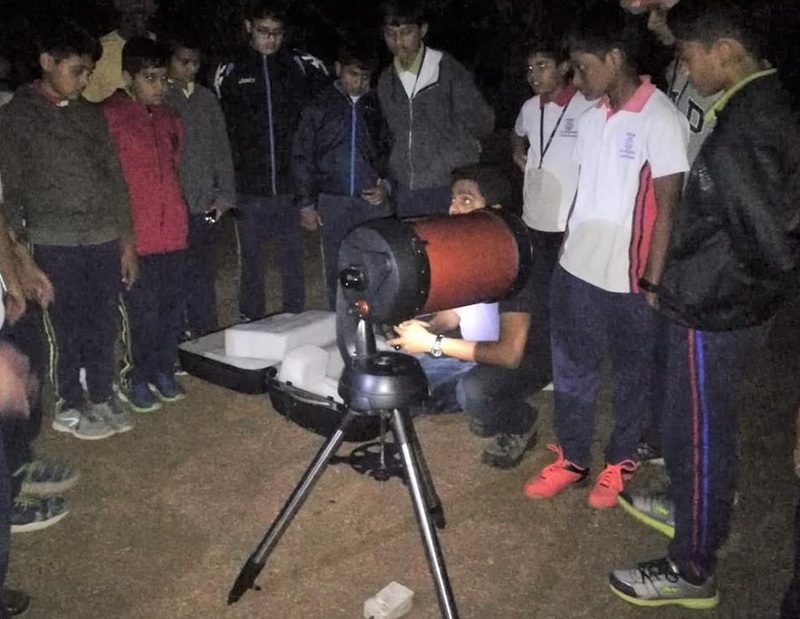 The students from Ryan International School, Kundalahali were thrilled to attend a night sky observation and constellation mapping session. 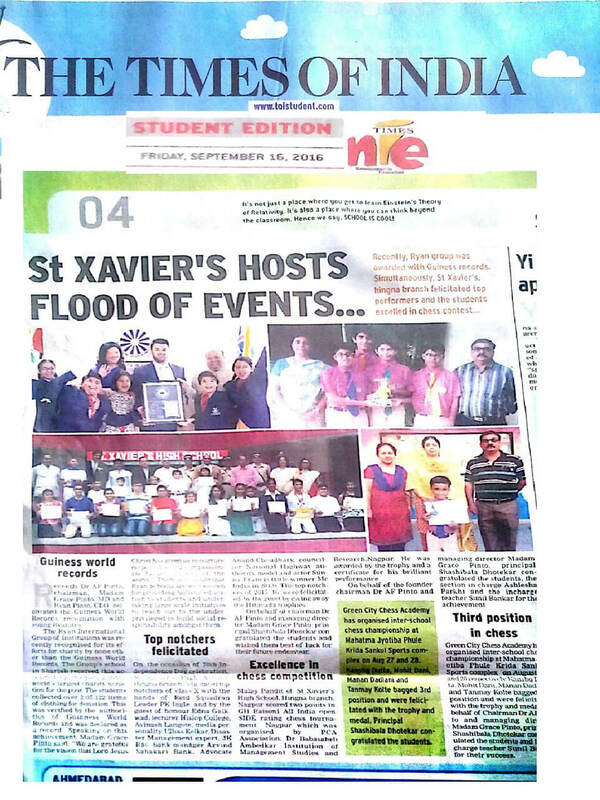 Mr Bharat of Young Innovators Educational Services Pvt Ltd guided the excited Ryanites on how to locate the constellation by using a green laser and operate a telescope by entering the coordinates. 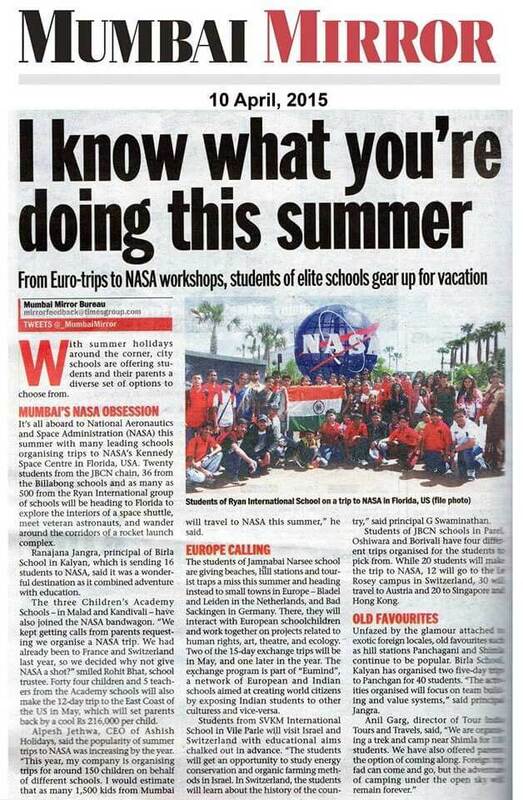 They viewed the Orion Nebula and were thrilled to see Venus, Jupiter and Saturn. 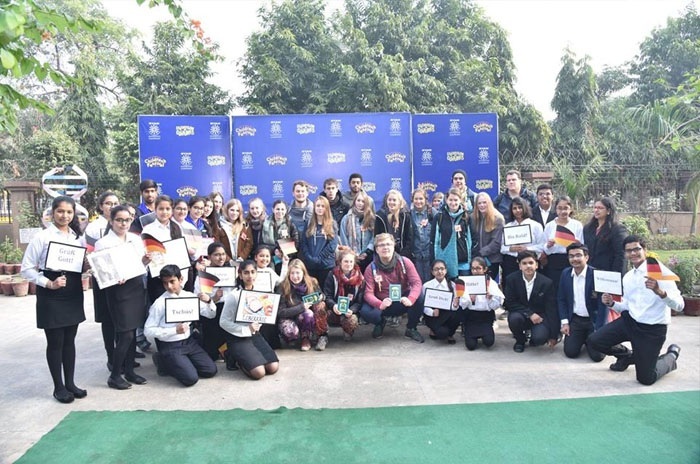 Earlier, Ryan International School, Kundalahalli had also organised a 'Telescope Making Session' in which students got a closer look at the evening sky, moon, stars with the help of 5-inch micro-reflector telescopes that they made. 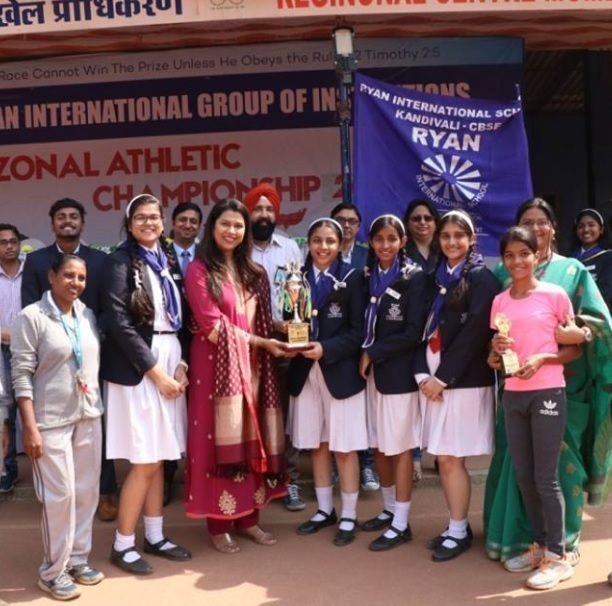 The students of ryan international group of institutions recently participated in TCS iON IntelliGem - India’s first-of-its-kind contest that assesses the aptitude of school students’ on the 21st Century Skills,with a vision to unearth the Gems of tomorrow. 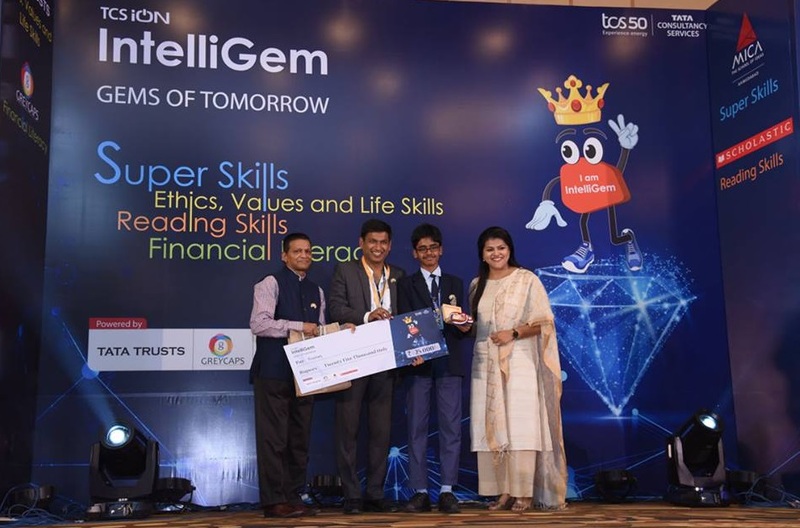 The contest encourages young minds to test their quotient on reading skills, financial literacy, ethics, values and life skills as well as the super skills (creativity, critical thinking, collaboration and communication). 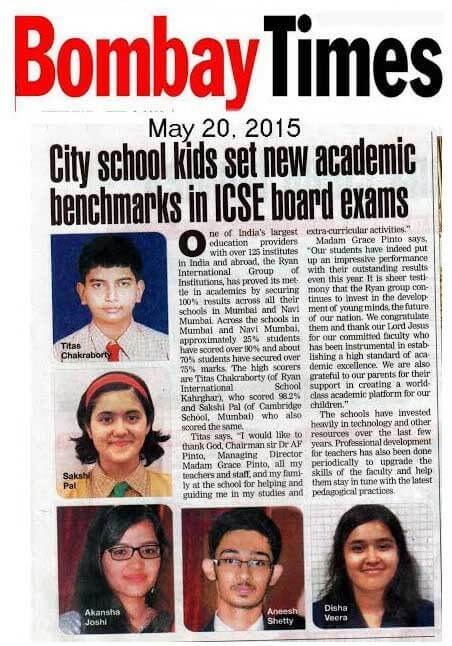 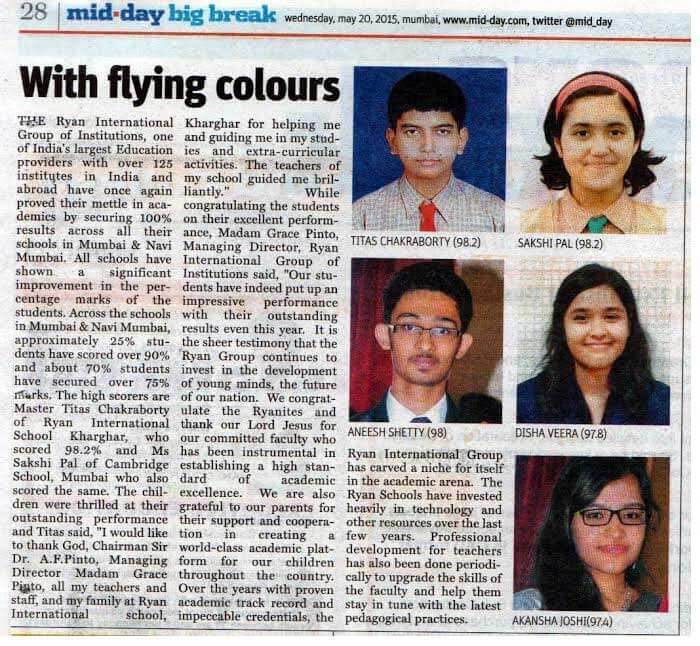 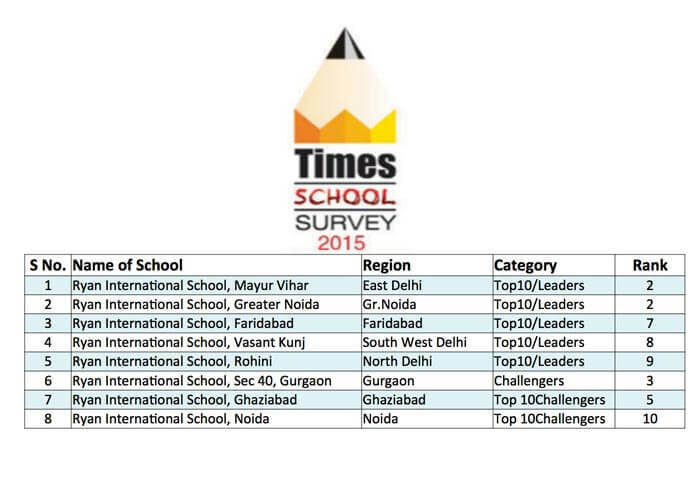 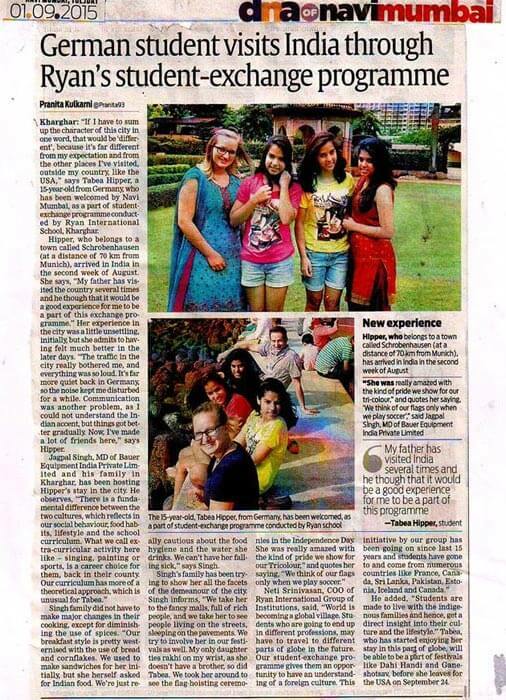 Our students Trisha Shenvi (Ryan International School, Malad-ICSE), Mansimran Kaur Randhawa (Ryan International School, Sanpada), Anishka Chaudhary (Ryan International School, Ludhiana), and Preetham. 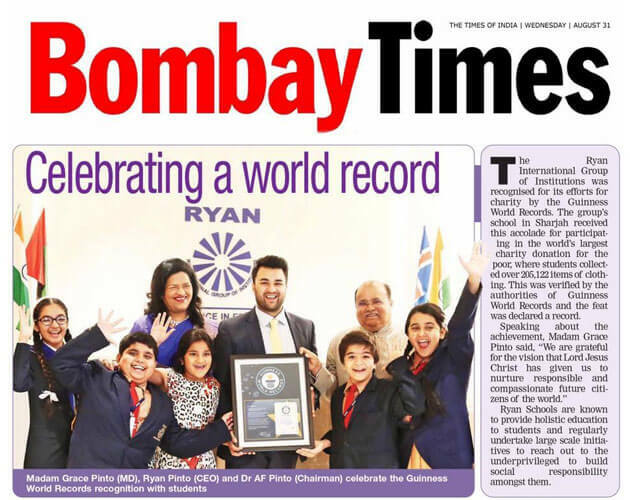 R (Ryan International School, Kundalahali) were declared runners up at TCS iON Intelligem. 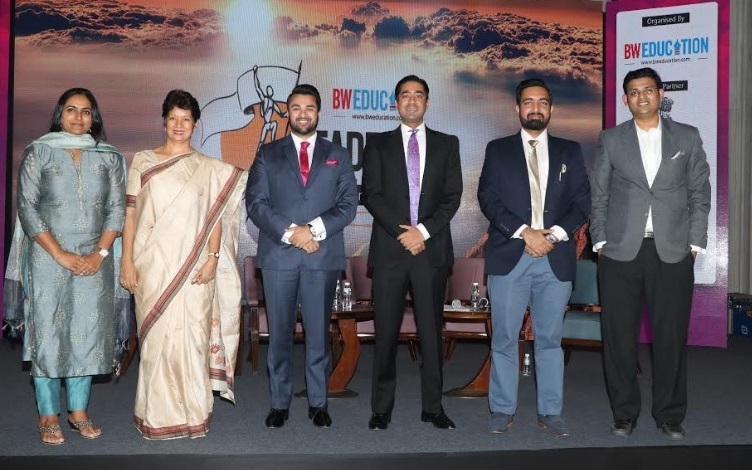 BW Education Leadership Summit aims at recognising the applauding quality of education in India by uniting Institution leaders and regulators to explore how they can leverage technologies, strategies and management tools with each other to help create a world class Institution. 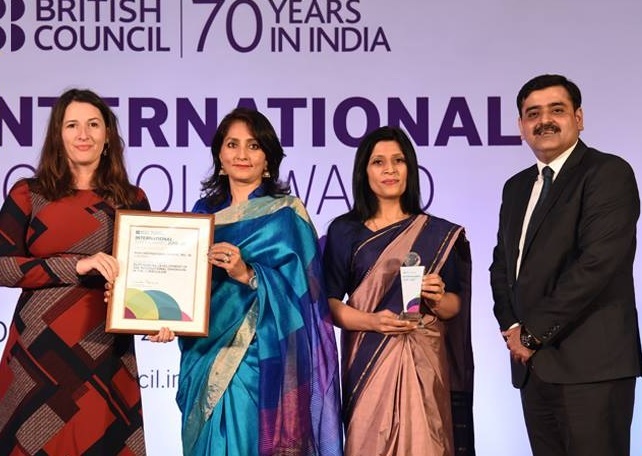 Ryan International School Bolpur and Ryan International School, Gurgaon Sector-40 have won the prestigious British Council International School Award. 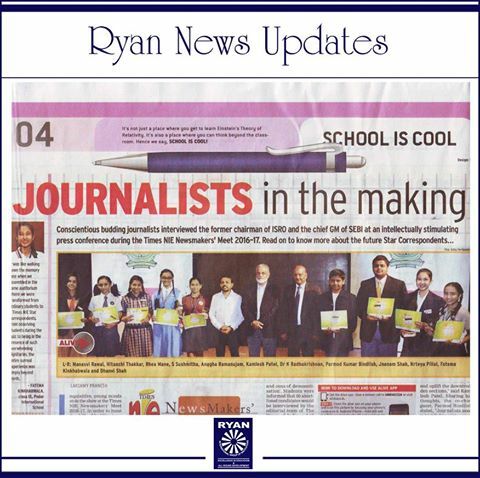 In celebration of their 26th running year, Crossword Bookstores had arranged the ‘I want to be an Author’ contest for budding writers at Ryan International School, Malad-ICSE. 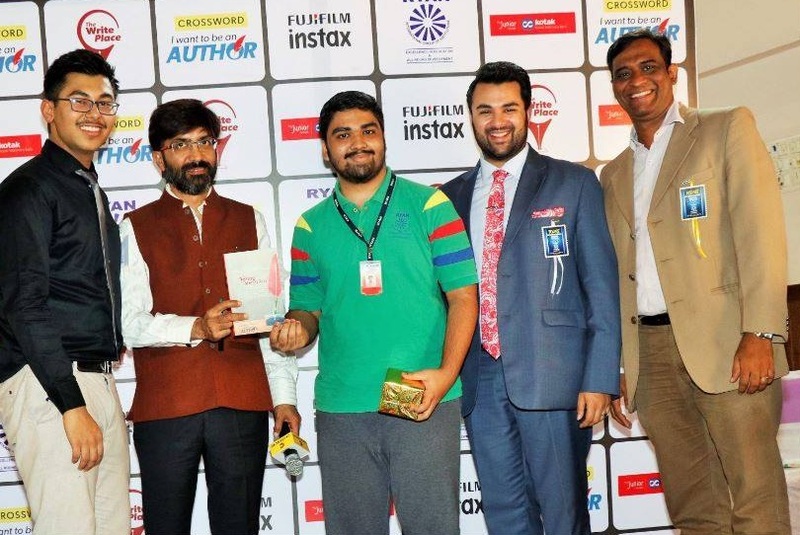 Dignitaries present at the event were Dr. Radha krishnan Pillai, author of Corporate Chanakya, Mr. Vinayak Shetty, Young Author of Crossroads and Cross times, Mr. Anup, publisher from ‘The Write Place ‘and our CEO Ryan Pinto. 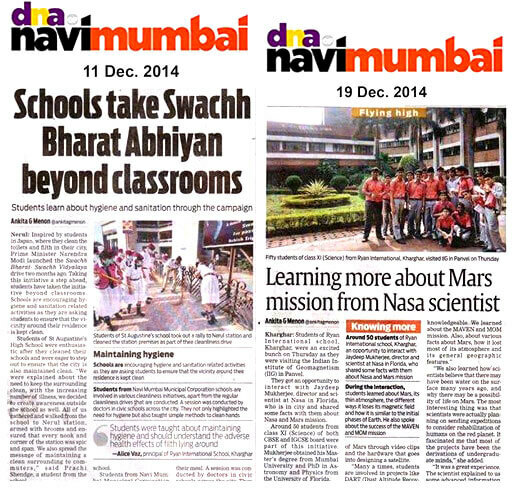 The initiative provided students with a platform to write short stories. 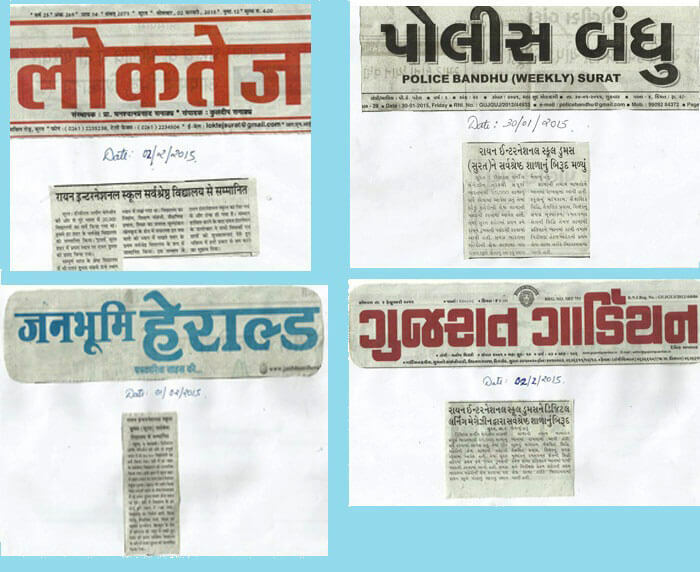 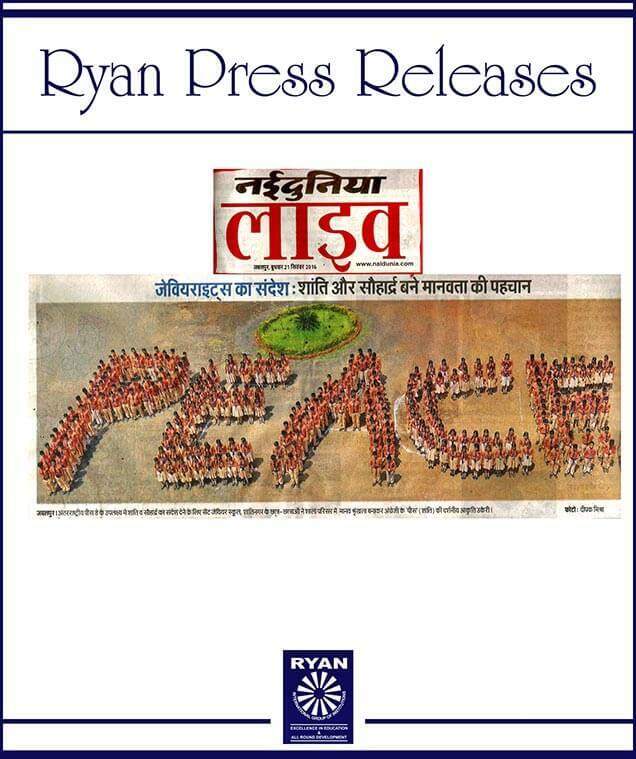 Out of the entries received, 39 stories were shortlisted and will be published as books by Crossword Bookstores Ltd.
As the country is caught between rising child obesity on one hand and malnutrition on the other, a third challenge that is rapidly emerging is the micronutrient deficiency in children due to wrong eating habits. 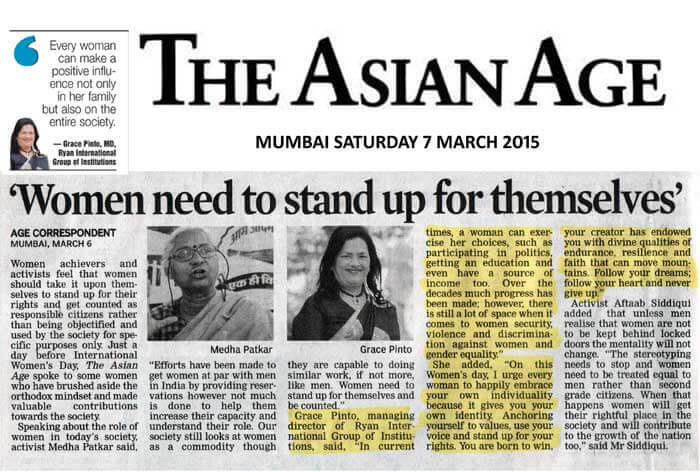 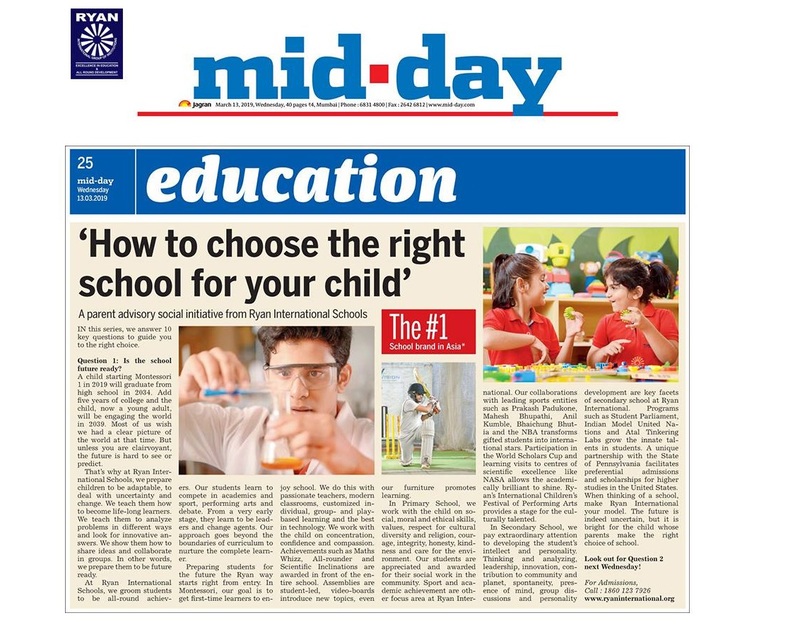 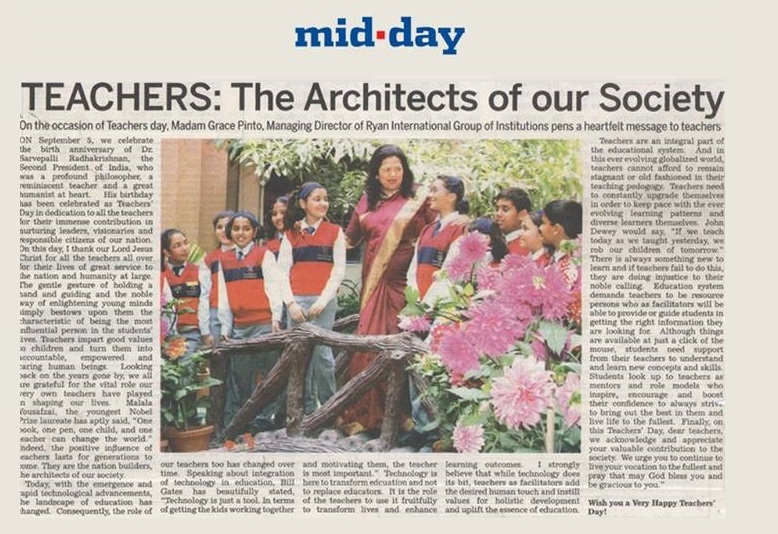 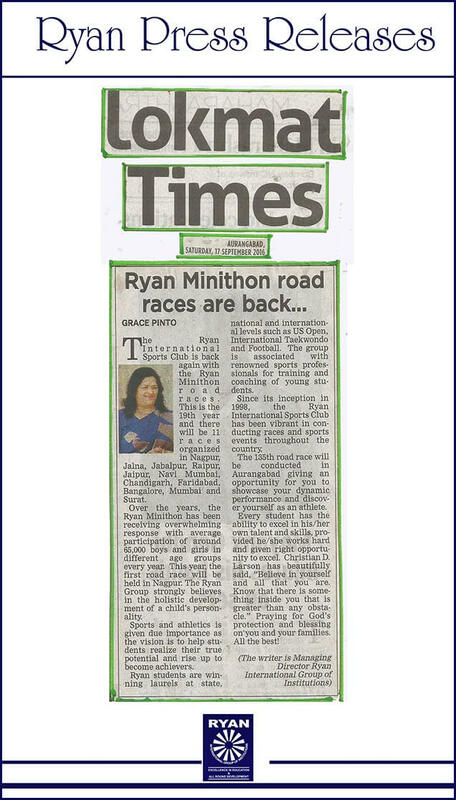 Madam Grace Pinto, Managing Director of Ryan Group of Institutions, pens a heartfelt message for all the teachers featured in MID DAY article. 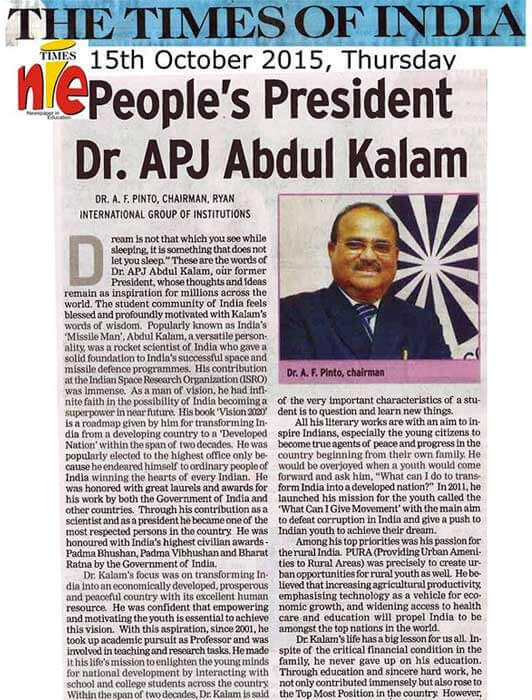 On 72nd Independence Day, Dr. A.F. 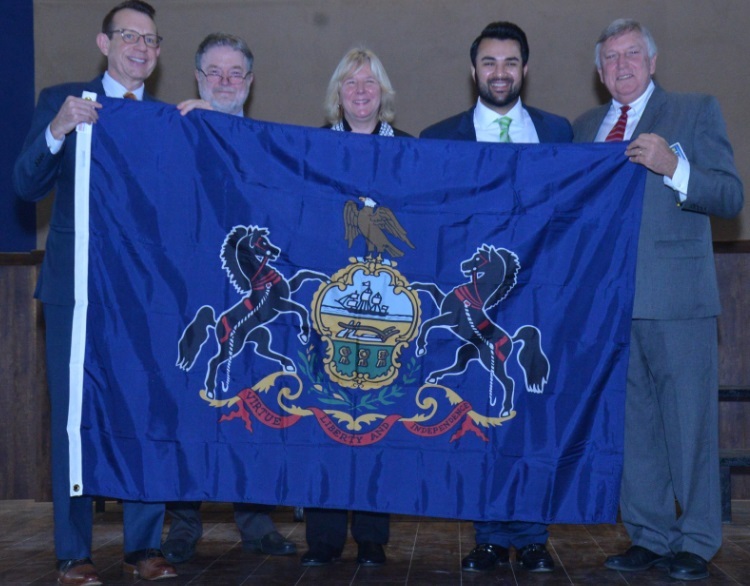 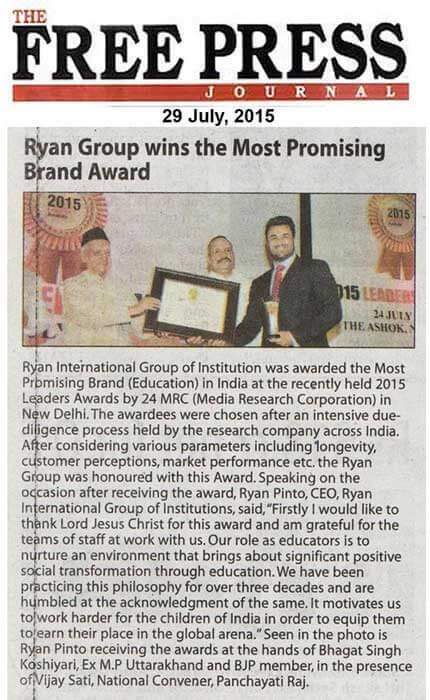 Pinto chairman Ryan Group, sends the message of warmth and solidarity. 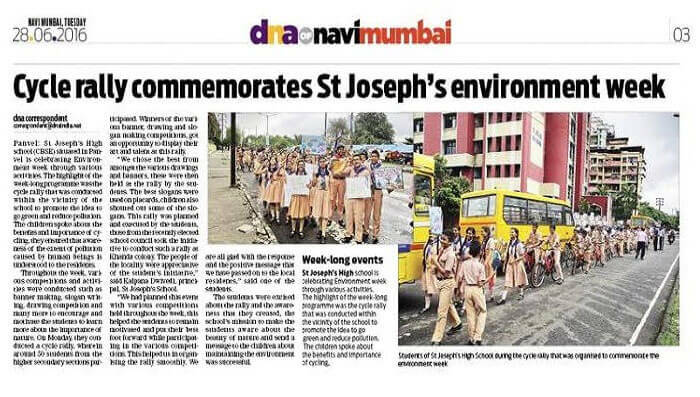 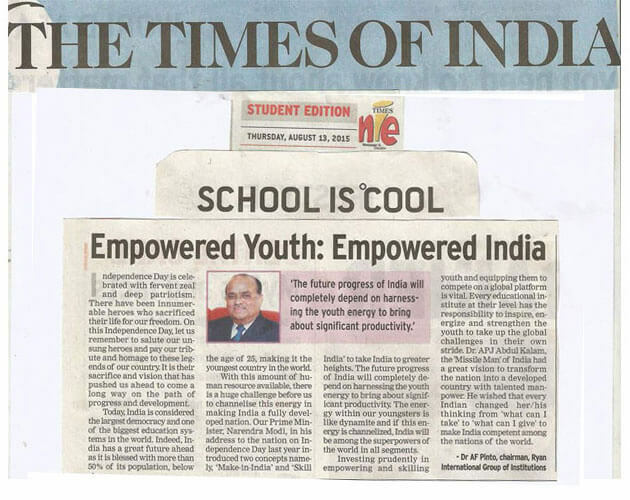 Featured in The Times of India, the message highlights how the idea of patriotism is not only of freedom but about being a responsible citizen too. 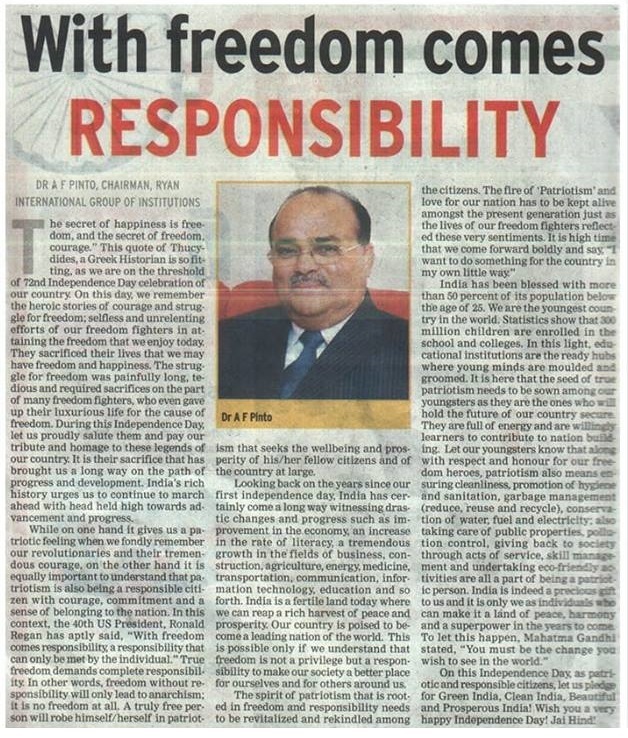 Having righteous courage, being committed to the betterment of the society and having a sense of belonging to the nation are all part of the essence of being truly free. 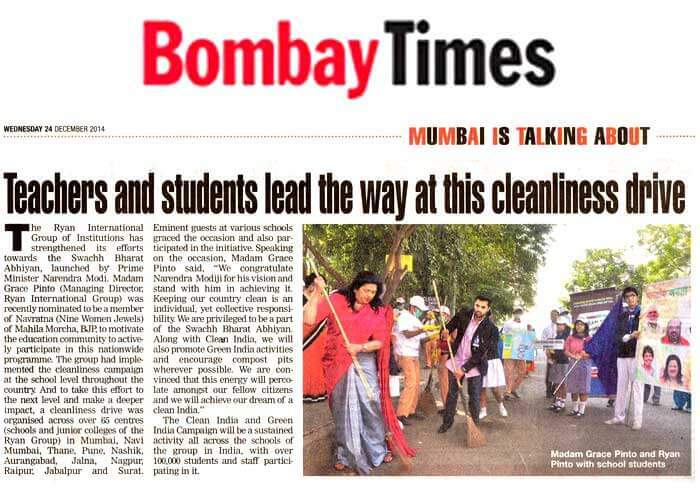 An independent nation is a cleaner, greener, well-endowed and a caring environment for its citizens to live in and prosper. 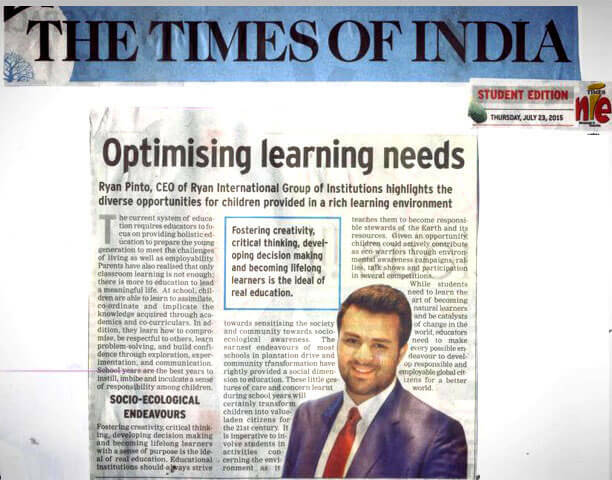 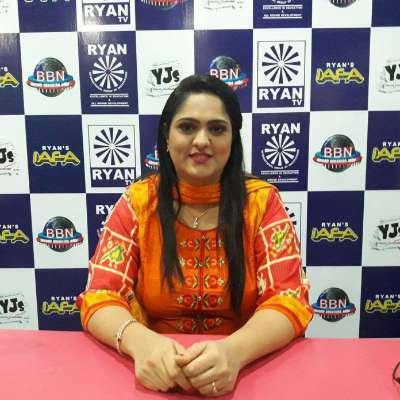 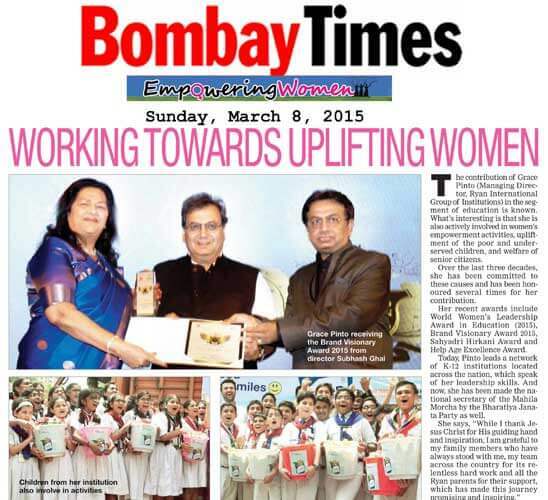 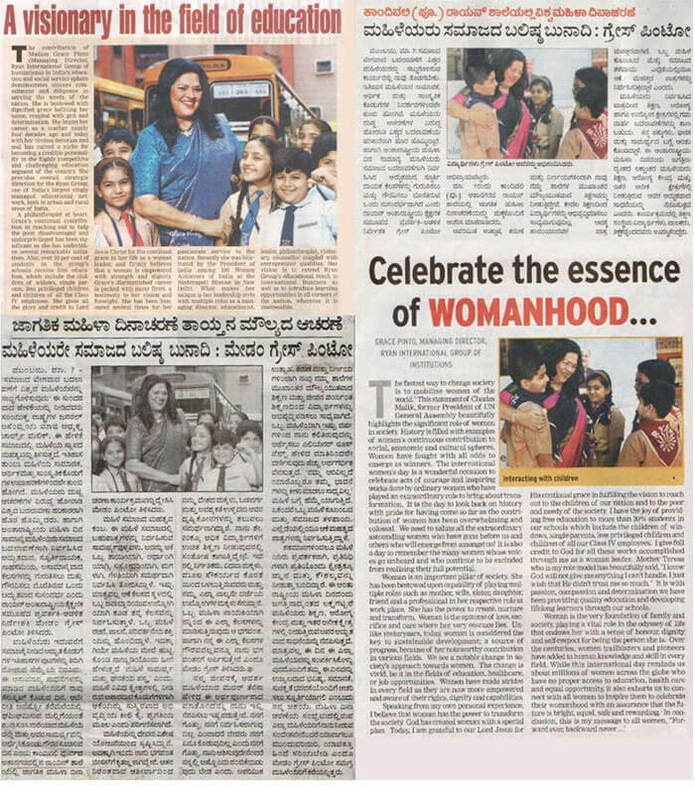 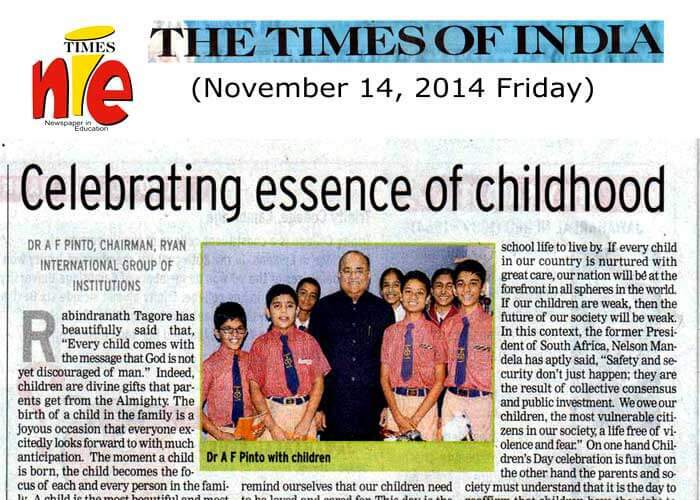 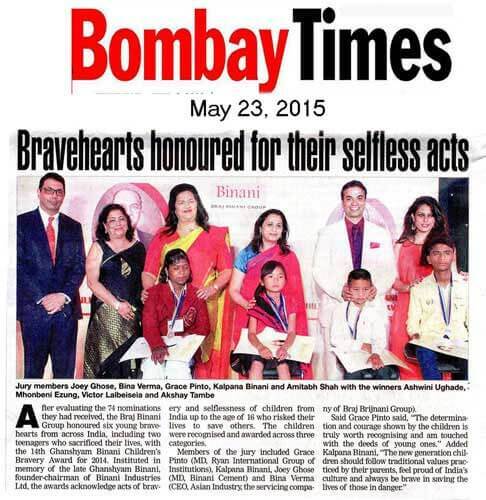 #GrowingHealthyMinds - an initiative by Ryan Group of Schools has been featured in DailyHunt! 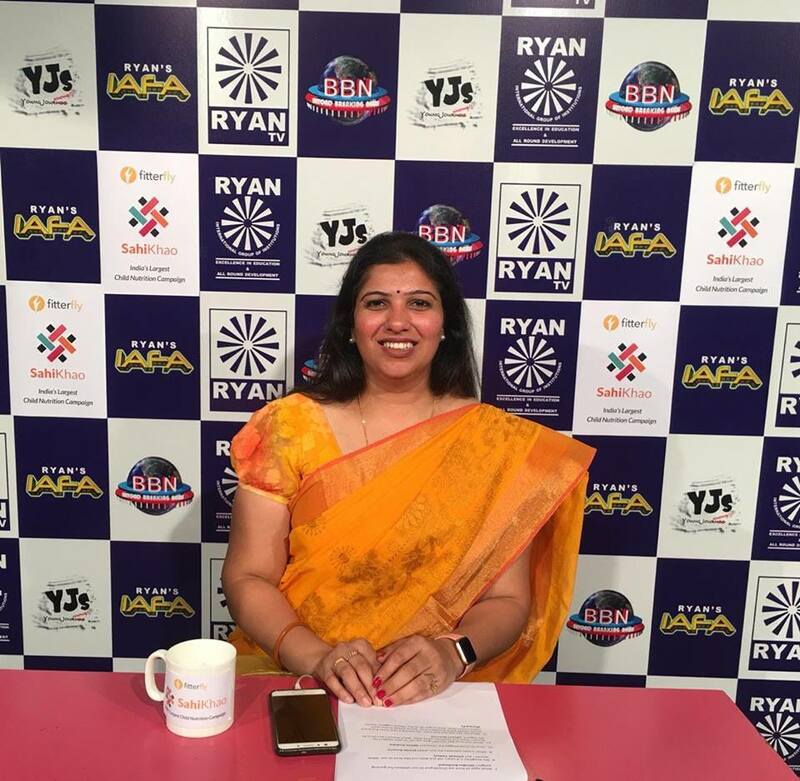 With over 1 in 5 children going facing mental health issues, Growing Healthy Minds emphasizes on the increasing need among parents and teachers to break the stigma and talk about the psychological issues in children. 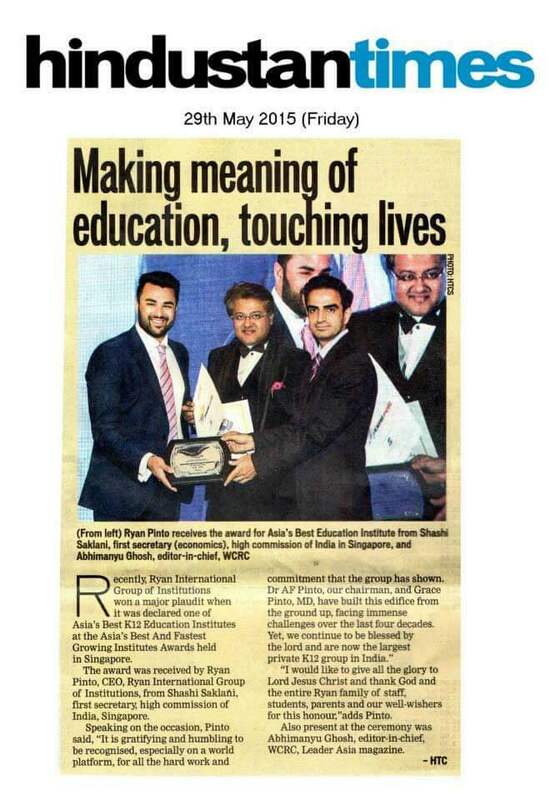 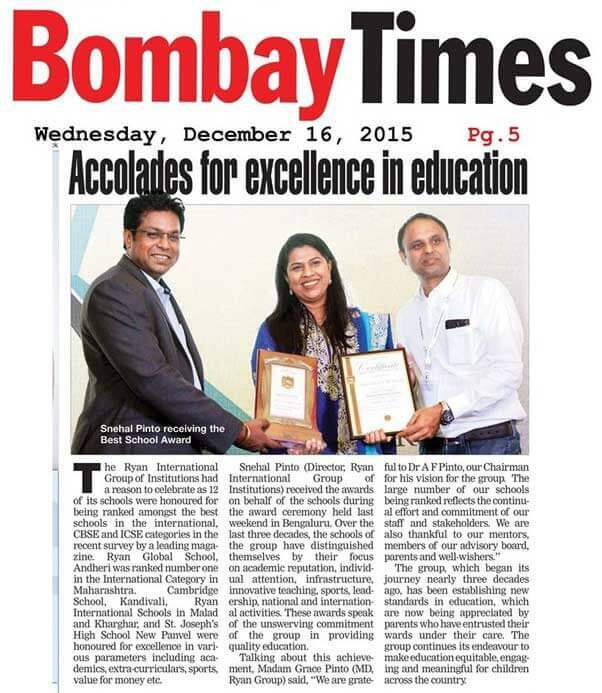 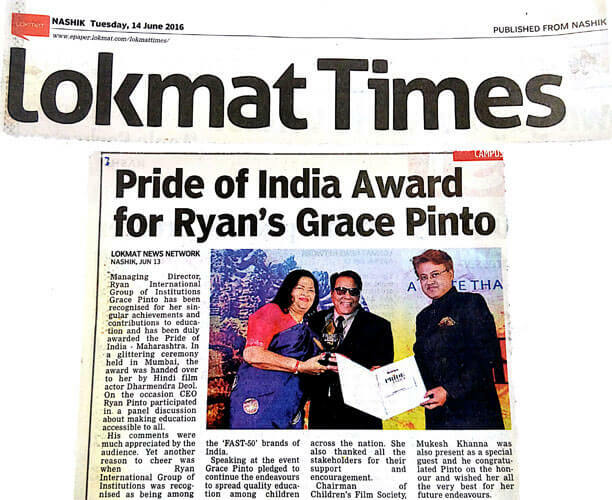 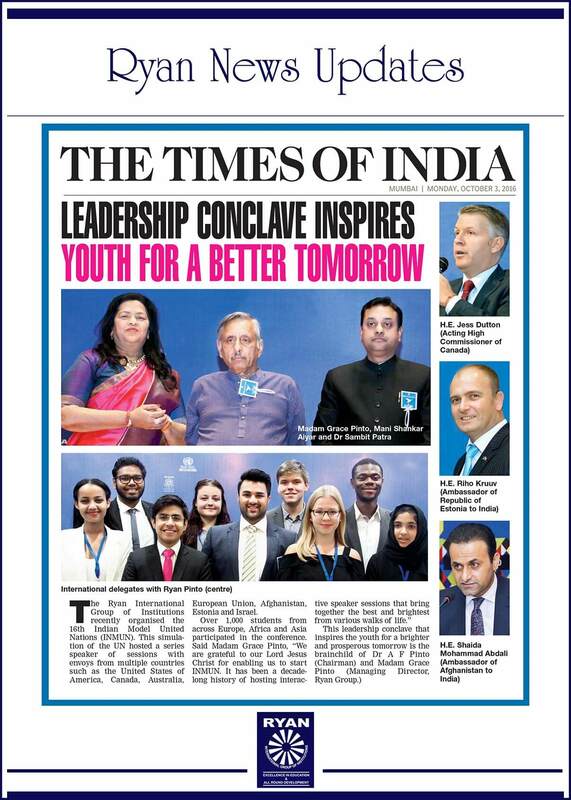 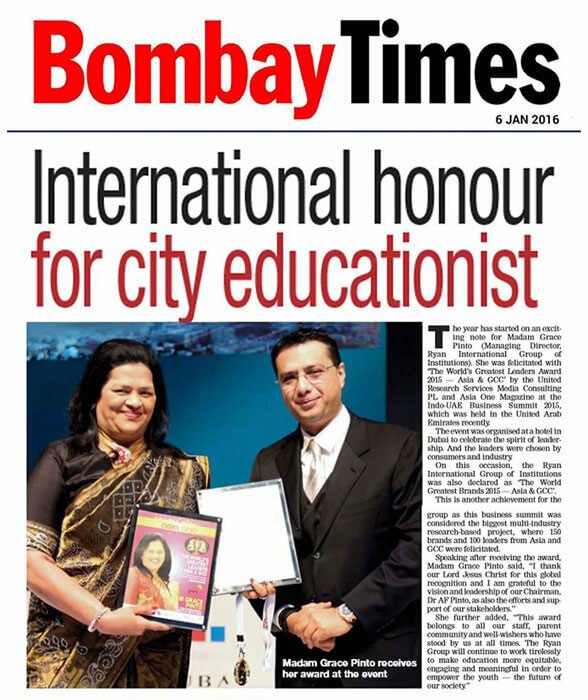 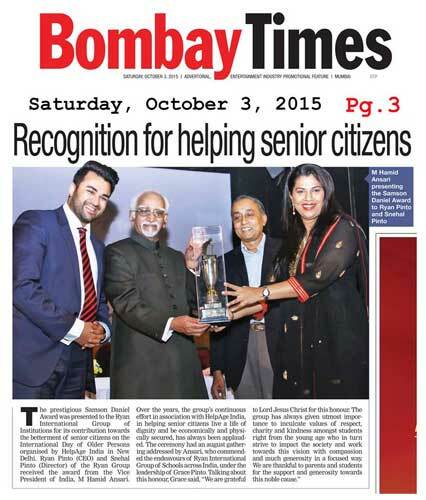 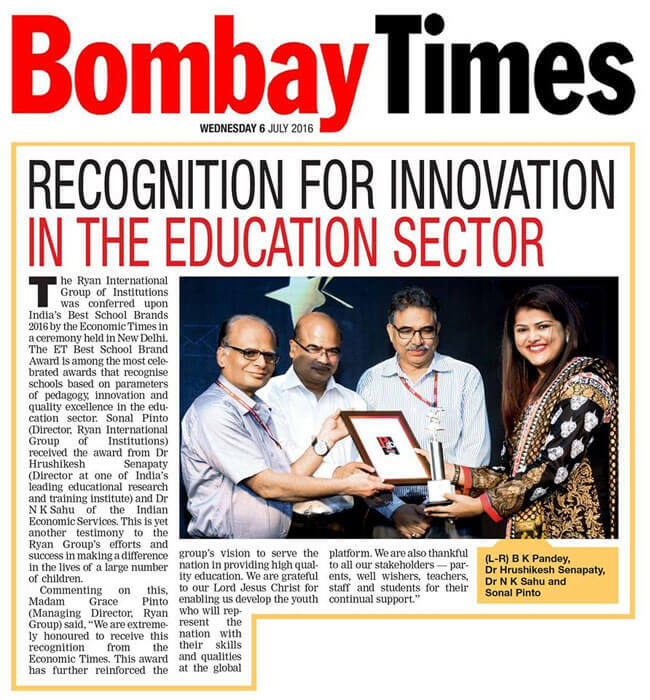 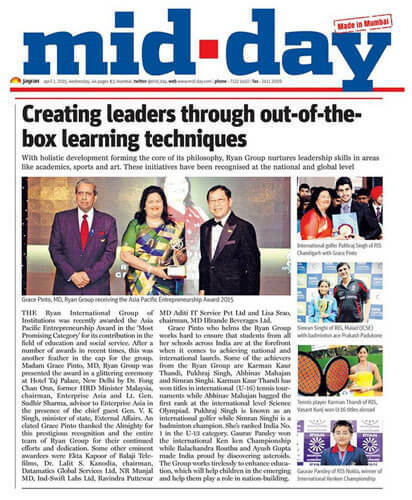 Mr. Ryan Pinto CEO Ryan Group has been felicitated for Youth Icon of the Year in the Education Industry as well as for Excellence in National Curriculum, Mumbai at the Mid-day Education icons felicitation ceremony. 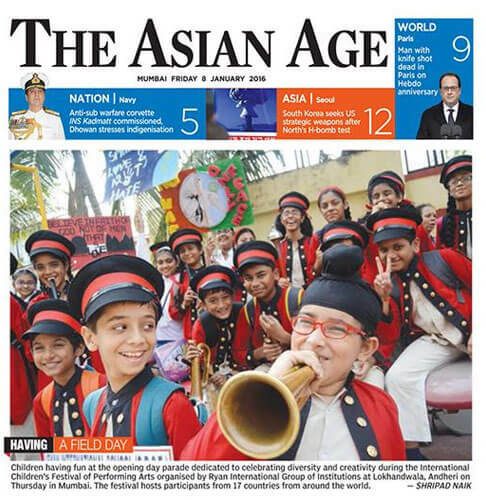 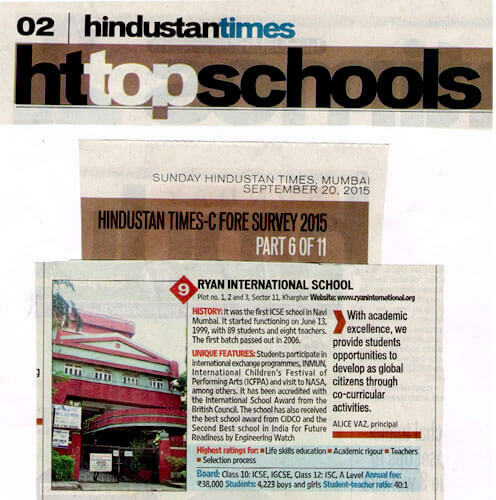 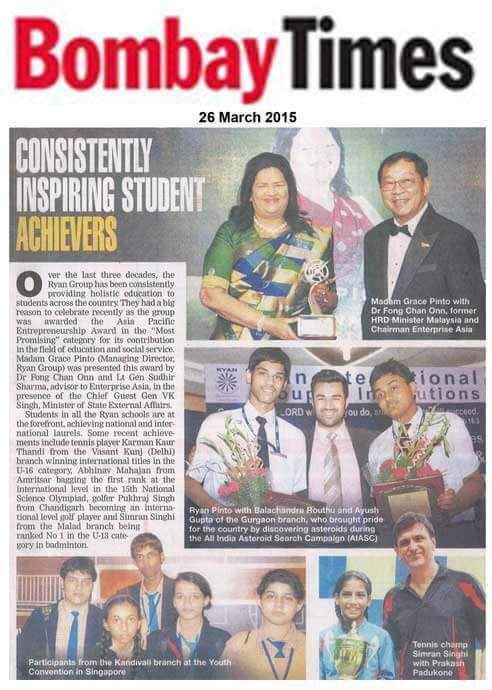 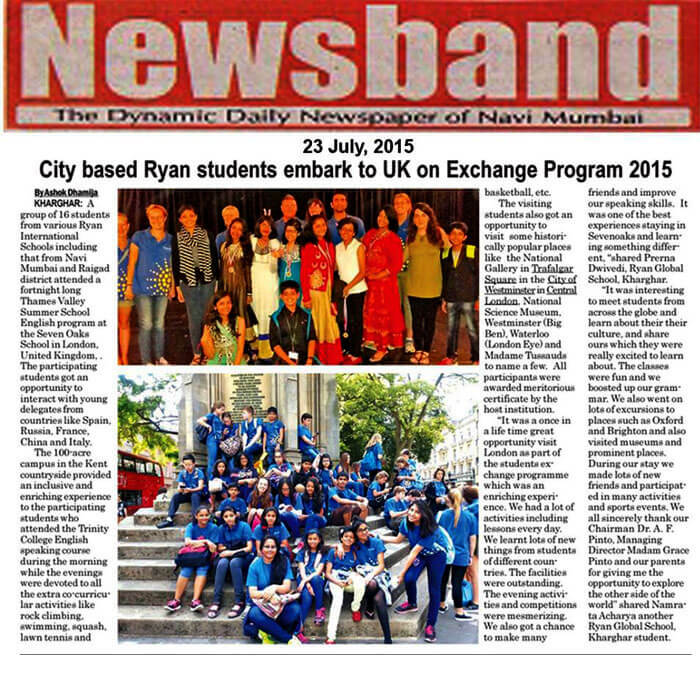 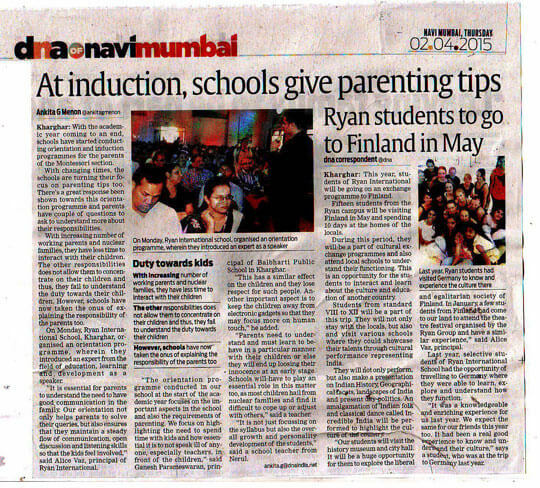 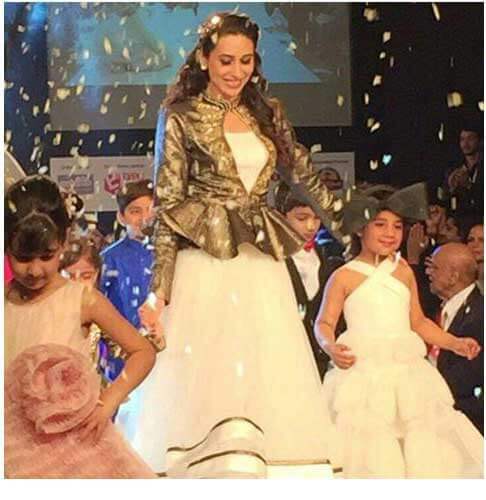 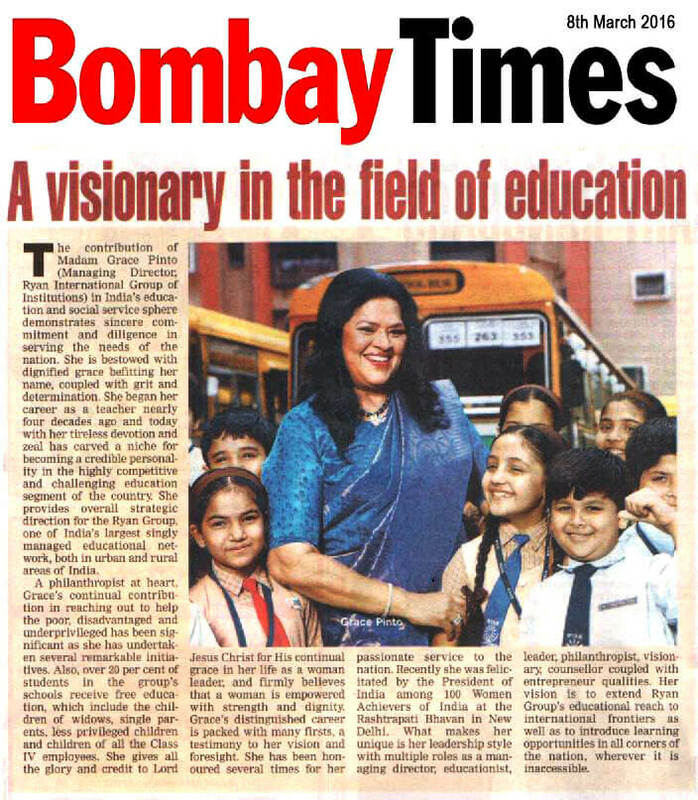 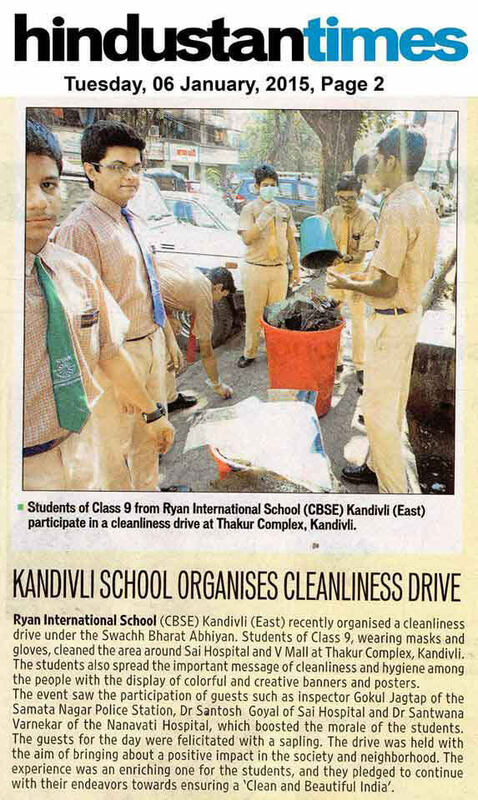 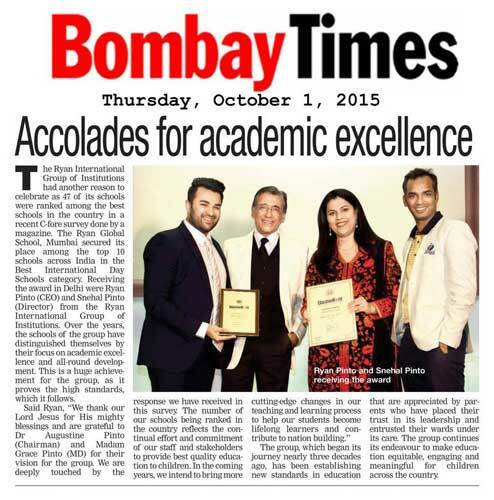 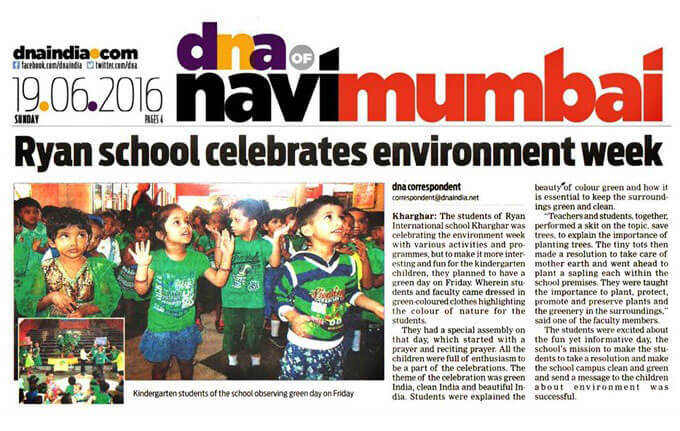 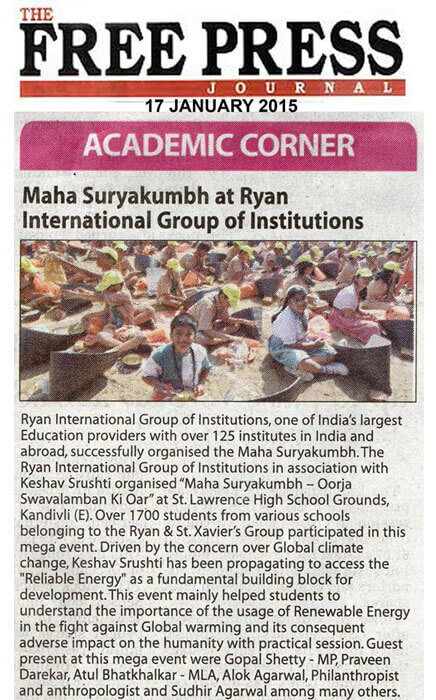 The Ryan International schools across Mumbai had organized several zonal events in their schools. 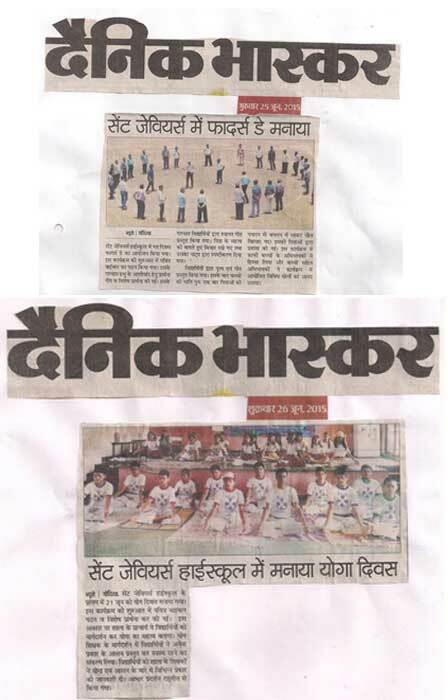 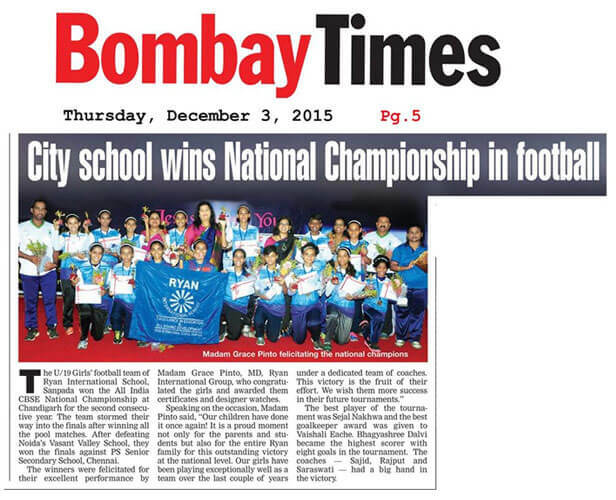 The event witnessed more than 3000 enthusiastic students participate with an aim to promote fitness. 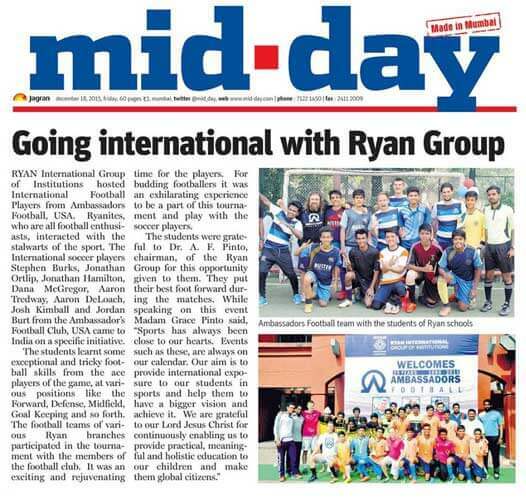 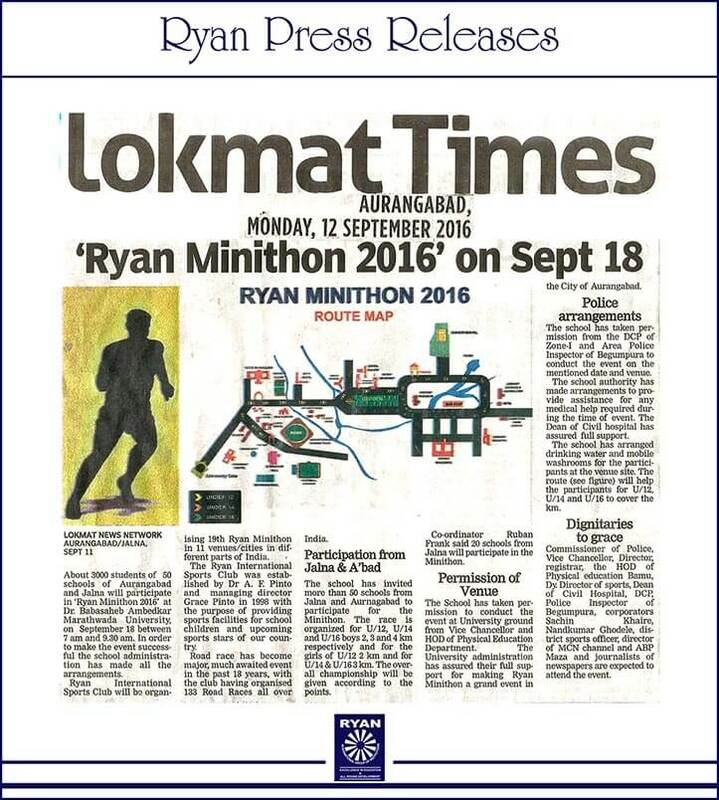 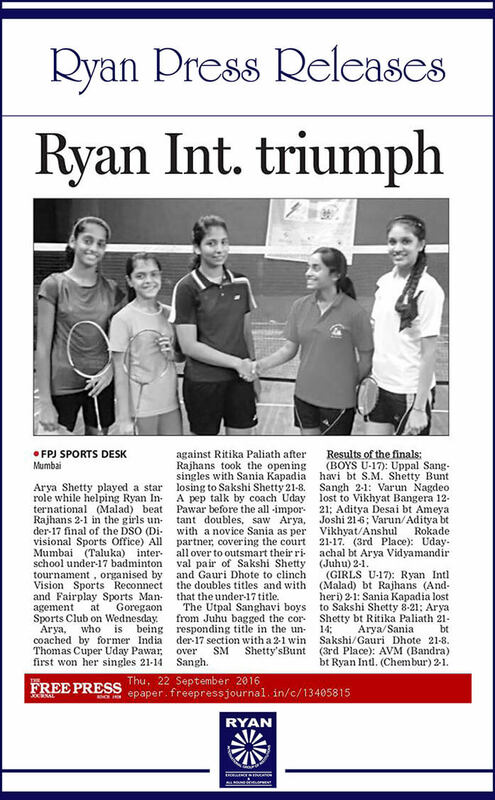 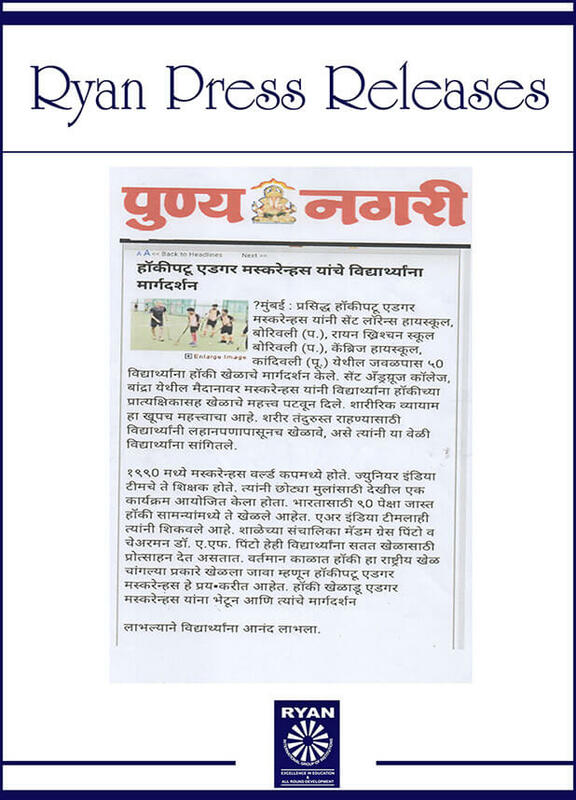 It proved to be a great success with Ryanites winning several medals and trophies for their praiseworthy performances. 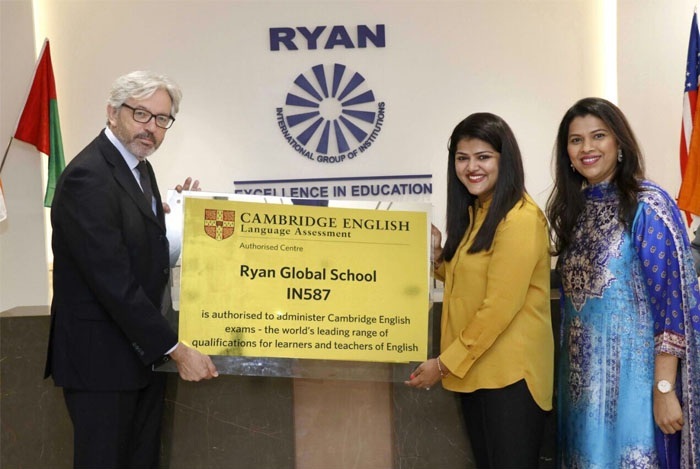 In a grand launch, Cambridge English Language Assessment (part of the University of Cambridge) inaugurated a new exam center at Ryan Global School. 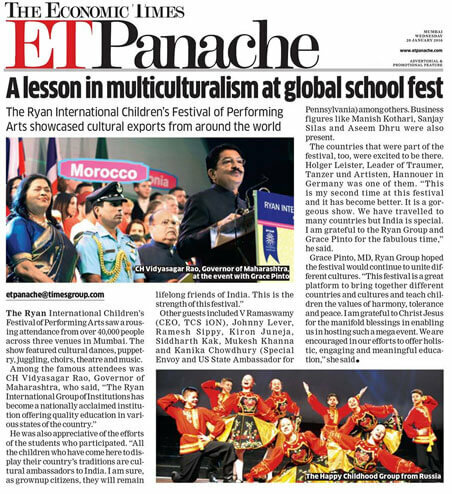 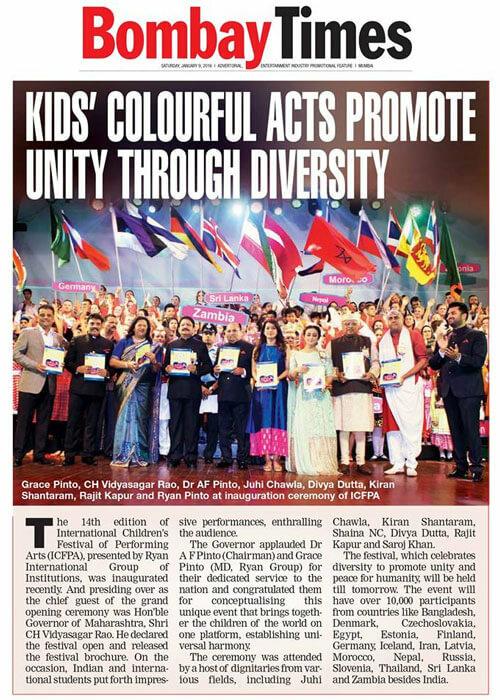 The event was presided by Mr. Liam Vint, Deputy Director Global Network, Cambridge English Language Assessment, Dr. Snehal Pinto, Director, Ryan Global Schools and Ms. Sonal Pinto, Director, Ryan International Group of Institutions. 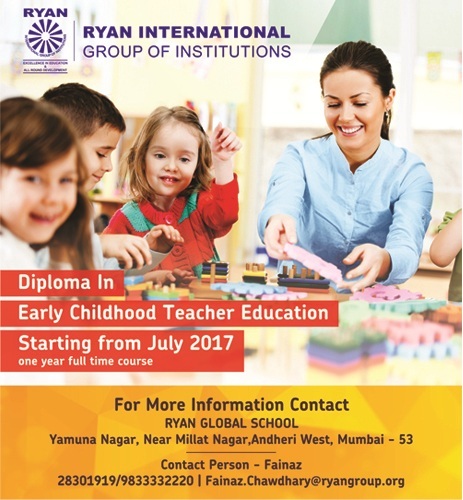 Ryan Group of schools is the largest chain school group to offer the Cambridge English exams and has under its umbrella 135 schools spread across India. 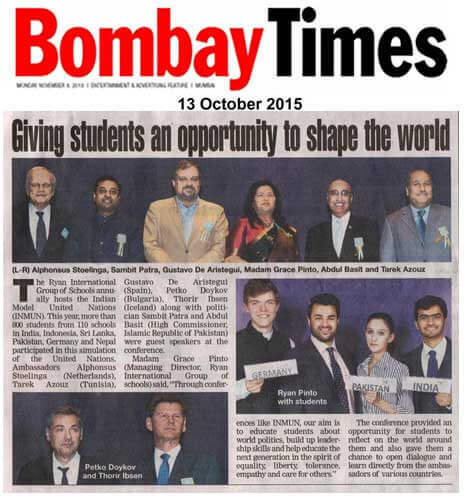 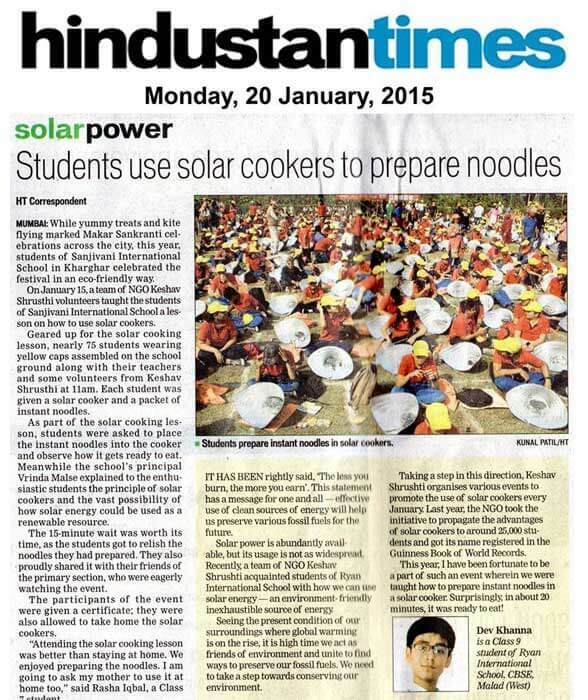 This collaboration will benefit lakhs of students studying in this chain of schools from major cities of India. 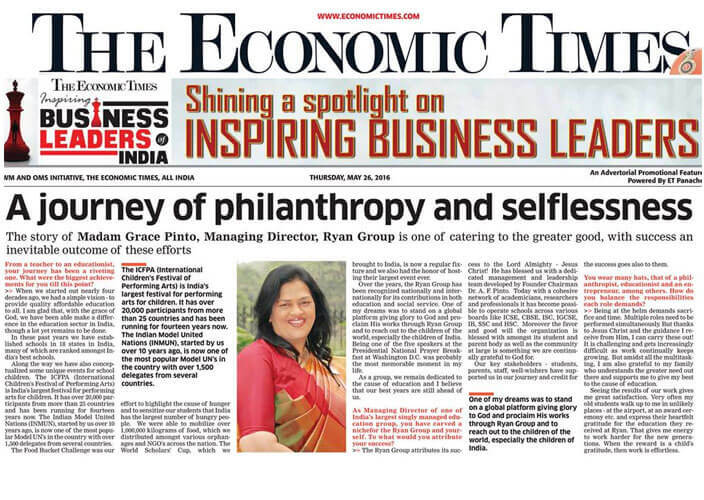 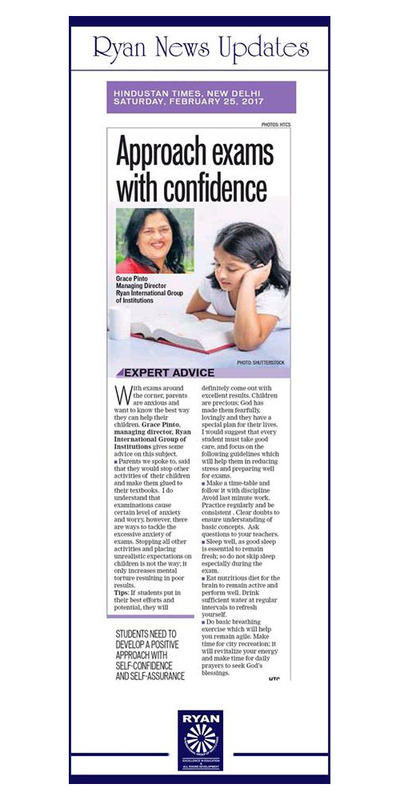 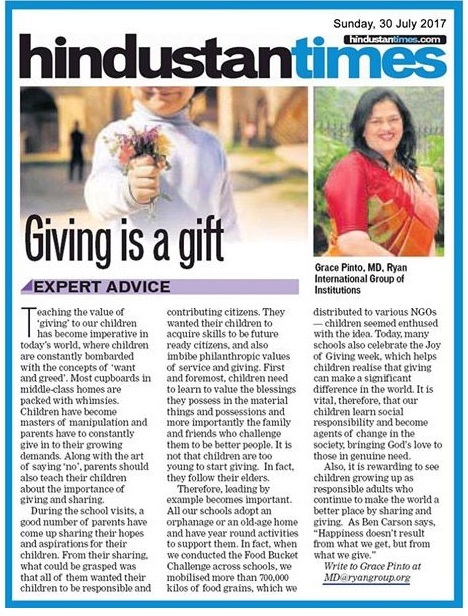 Madam Grace Pinto MD Ryan Group gives some valuable advice on how to teach the value of giving to children featured in an article by Hindustan Times. 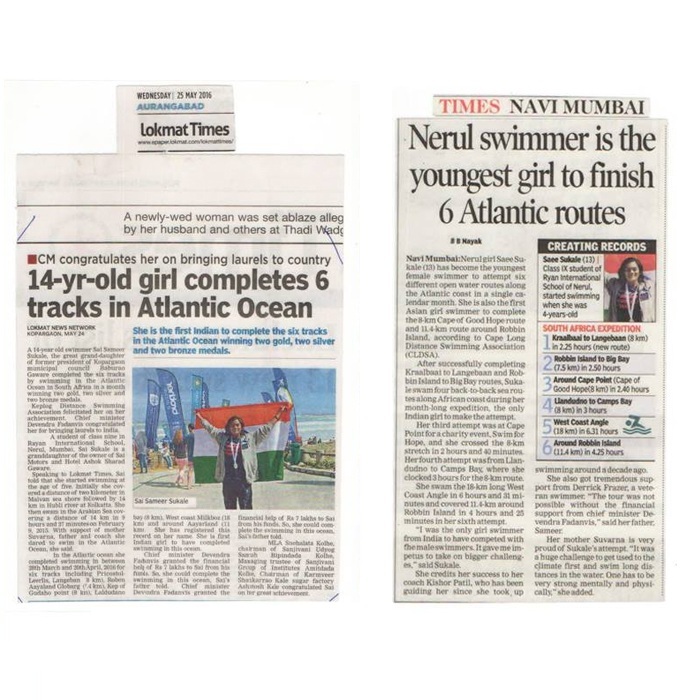 Swimming champion - Saee Sukale of RIS Nerul. 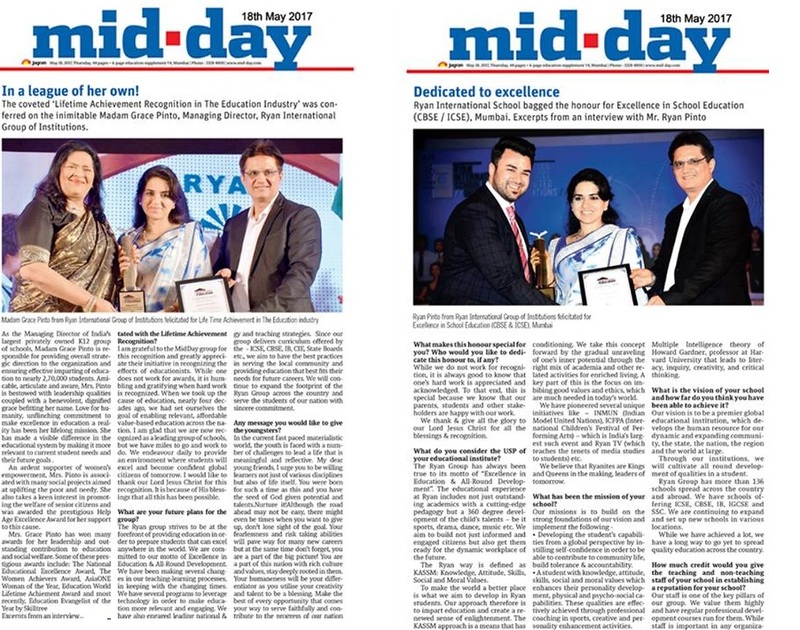 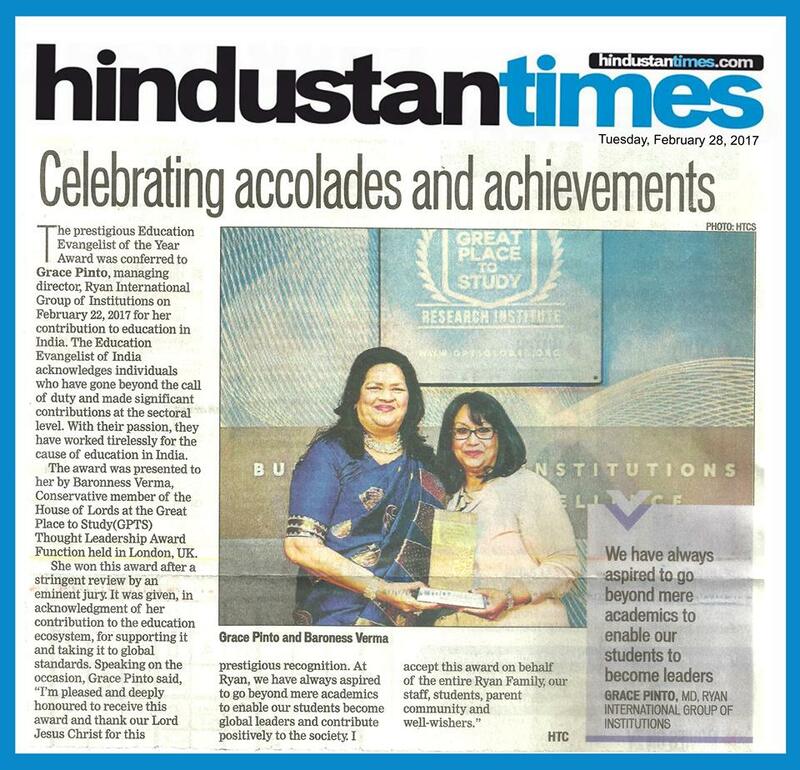 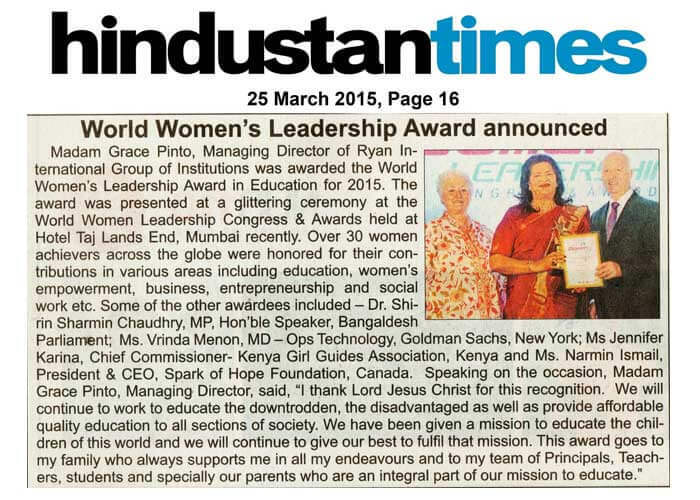 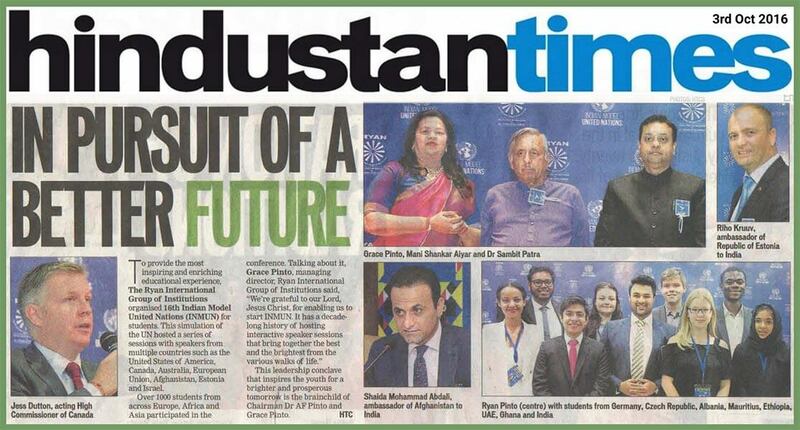 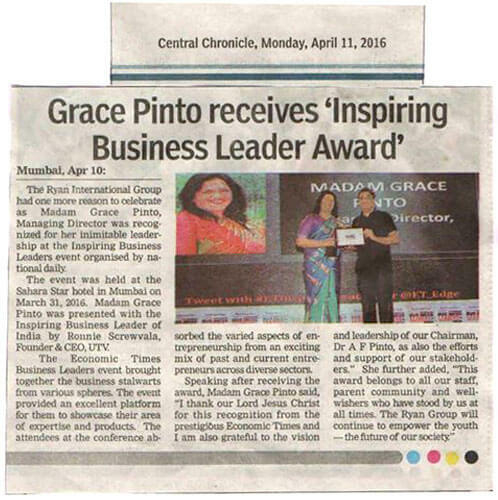 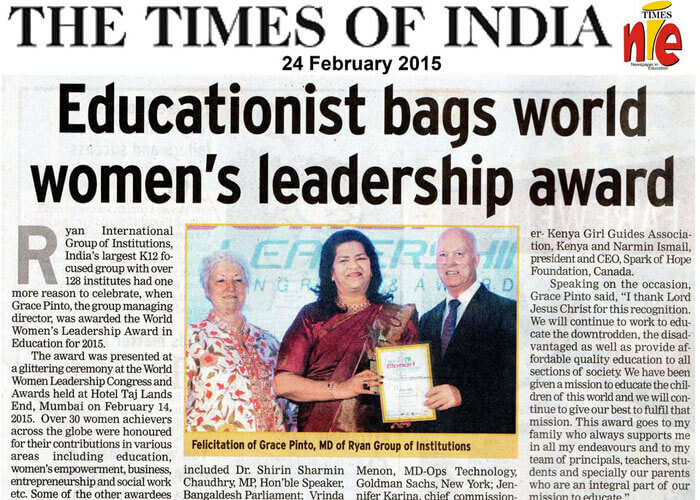 Article in Hindustan Times on Madam Grace Pinto MD Ryan Group receives the “Education Evangelist of the Year 2017” award at 3rd Thought Leadership Award, by SkillTree Knowledge Consortium in London, UK. 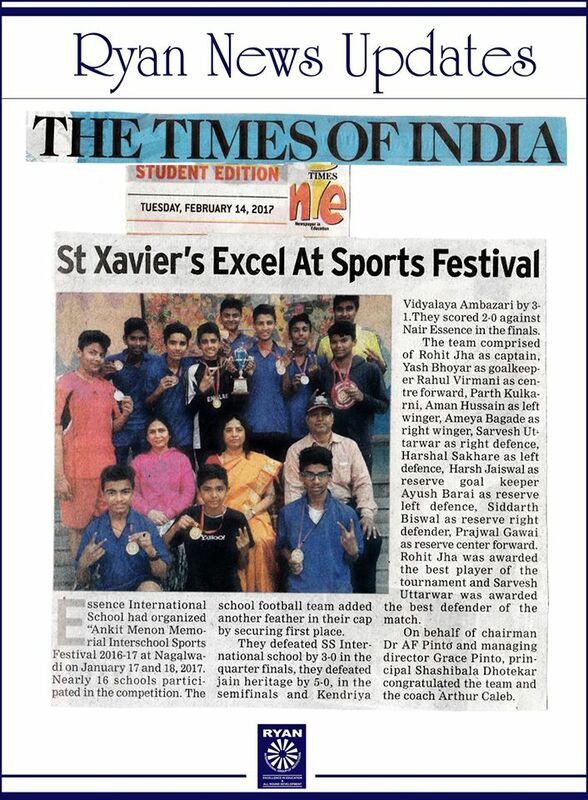 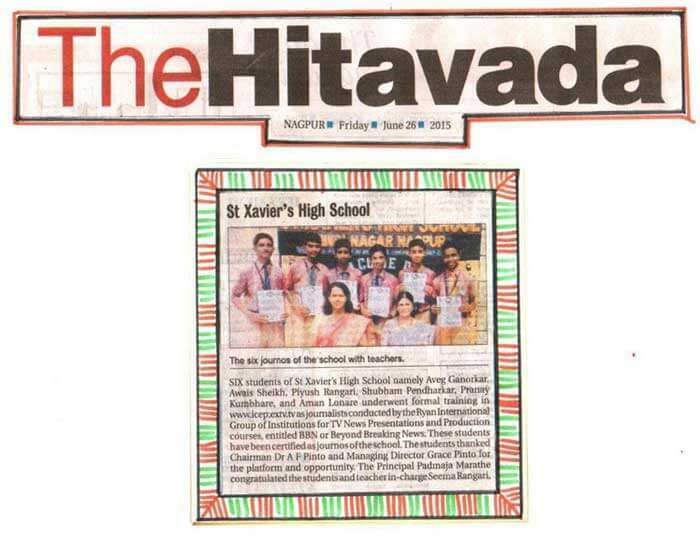 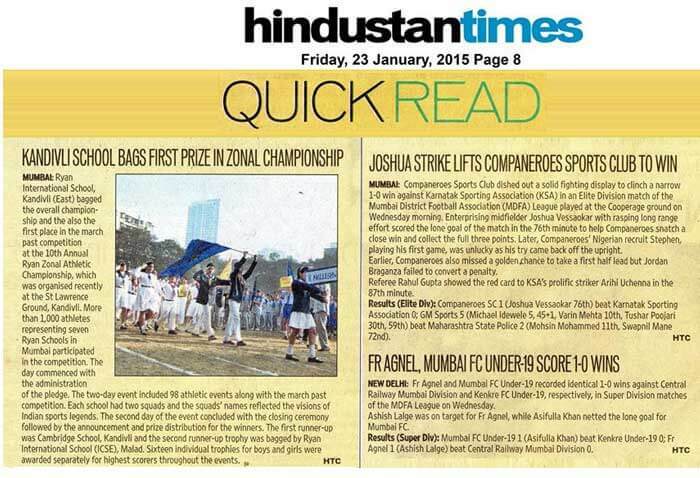 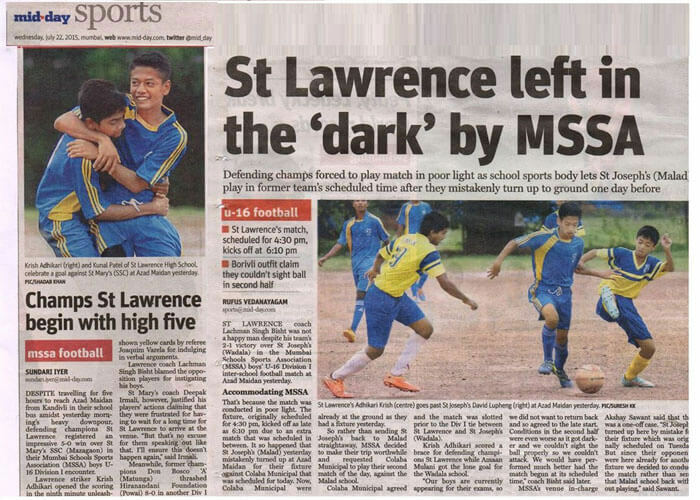 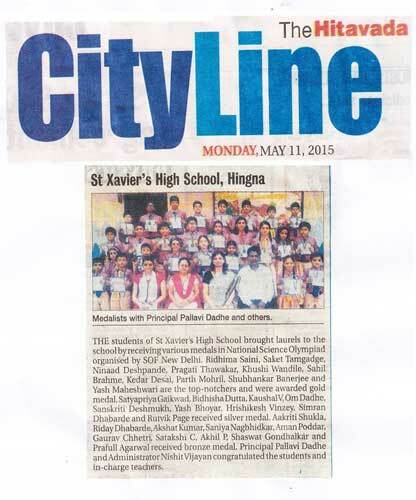 The football team of St. Xavier’s High School excel at Sports Festival. 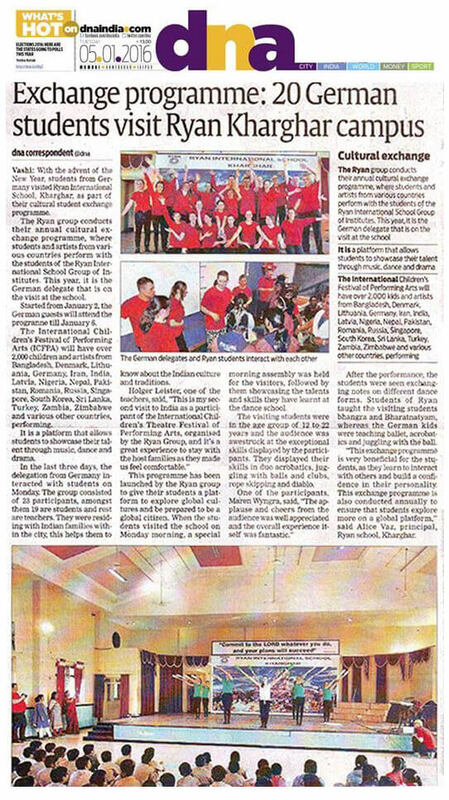 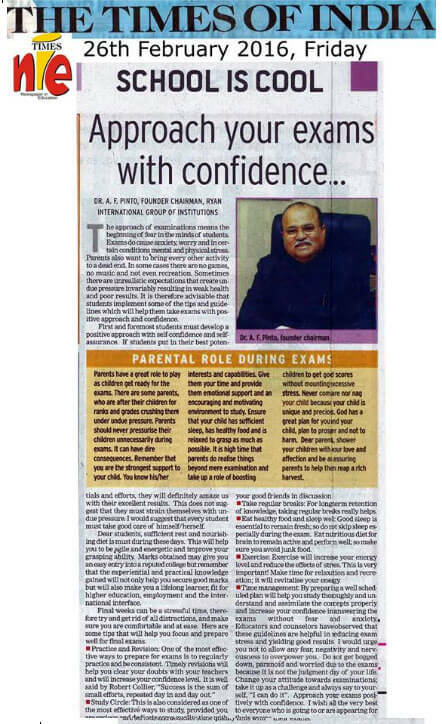 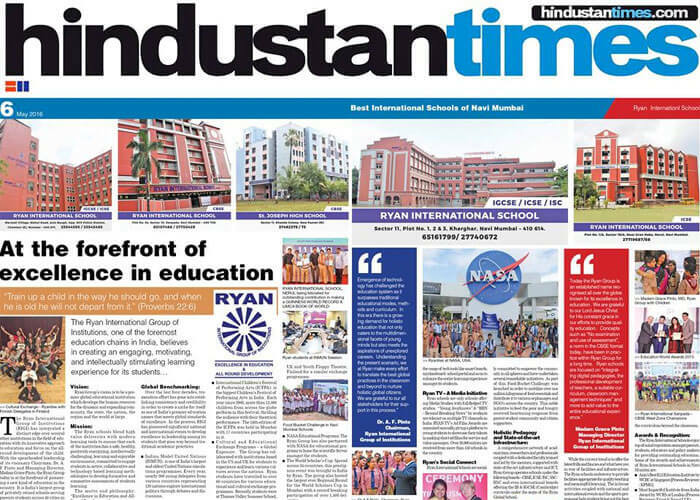 The article in Time Nie covering the details of budding journalists of Ryan International School who interviewed the former chairman of ISRO and the chief GM of SEBI.